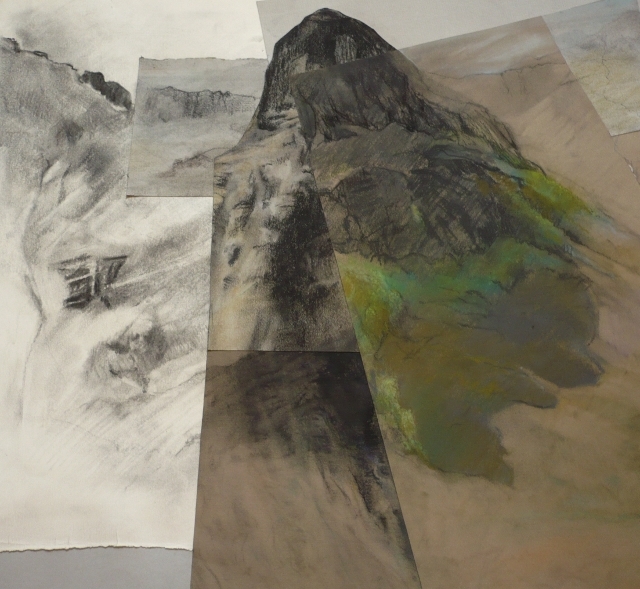 I have been investigating the characteristics and peculiarities of the structural elements of Scotland's mountain landscape. 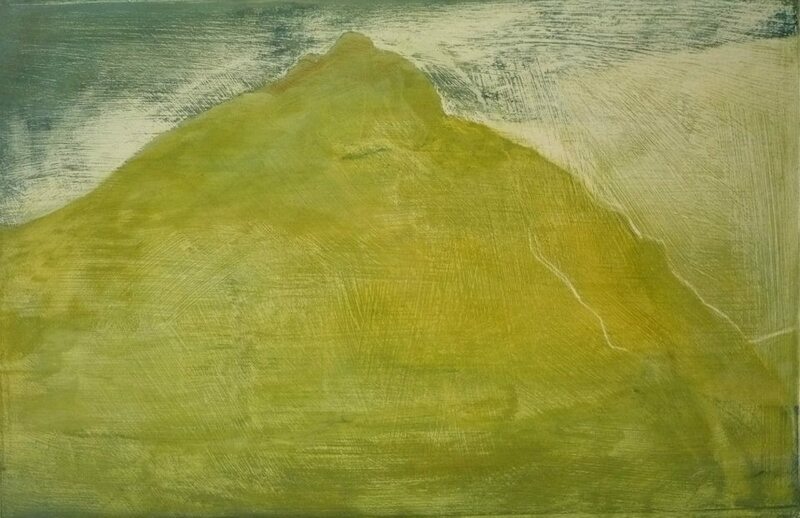 Specifically centered on the area of Glencoe in the Highlands, I have been fascinated by the individuality of the mountains here and the particular quality of their shape, how their massive natural forms sit in the landscape, their looming presence, how they relate to each other and something of the atmosphere created by them. 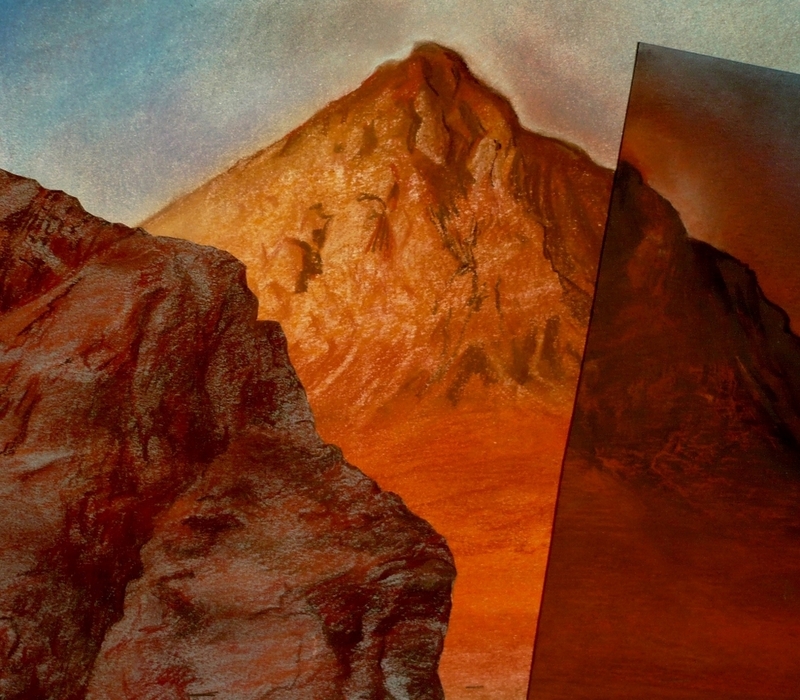 The oil paintings are small in scale, exploring ideas around iconography and aim to be contemplative and votive while the composite drawings are more concerned with the sense of how the forms fit together, their bulk, their elegance and also a sense of what it's like to experience moving through the landscape and observing it closely. 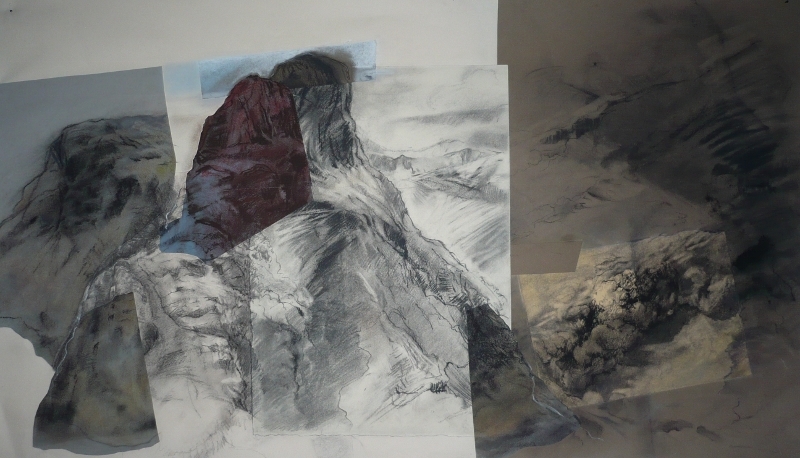 Charcoal drawing series 'hidden and revealed' with its own page explores the atmospheric changes of the mountain environment.